Super High Capacity 24V 12.5Ah Light Weight Lithium Ion Battery for e-bike and e-Scooter. Mountable battery holder can be easily mount to a desk or other surface. The battery pack comes with its own AC charger. You can charge the battery from a 100-240V AC power outlet. The battery pack comes with a output cable; one end can plug into the battery output port and the other end can plug into different connector tips. The battery output voltage range is 20-29.5V, and the nominal voltage is 25V. When the battery is fully charged, its output voltage is 29.5V. The output voltage will decrease gradually and finally will cut off at around 20V. Most of the time, the voltage will be around 24V to 26V. This battery is designed for e-bikes and e-scooters specifically. 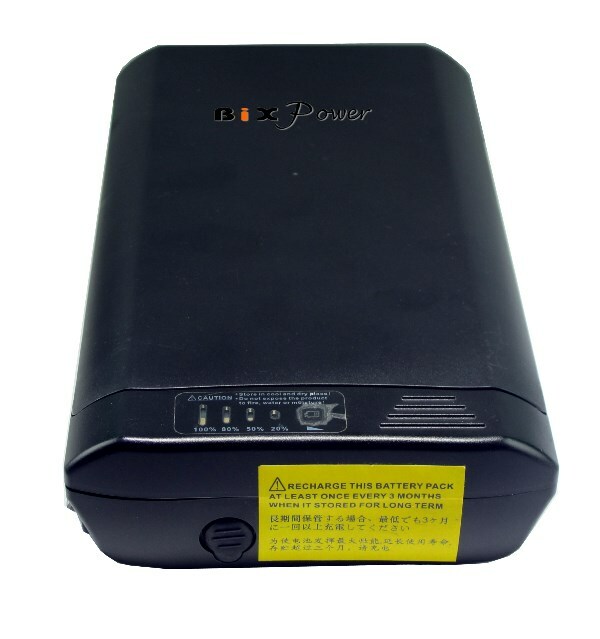 If you would like to pair this battery with other devices, make sure those devices can accept every voltage between 20-30V. The default output connections are two bare wires. We also offer optional Anderson Power Pole connectors as output. You can select this option and we will them for you.